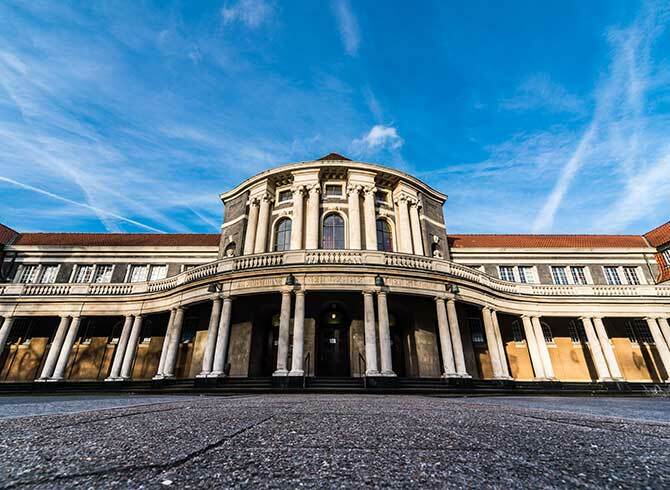 The neo-baroque Main Building of The University is located on Edmund-Siemers-Allee. The street is named after Edmund Siemers, a Hamburg merchant and ship owner who donated the building. 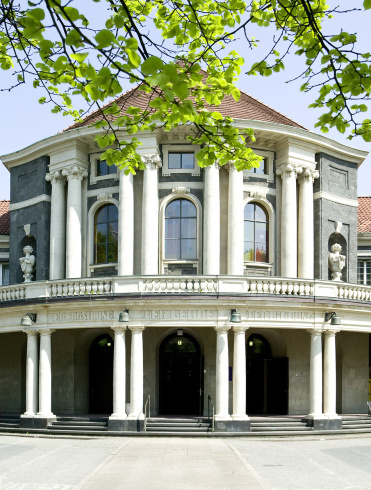 It was openend in 1911 eingeweiht and handed over to the University in 1919. The inscription at the Main Building\'s entrance reads " Der Forschung, der Bildung, der Lehre" ("To research, to teach, to educate and form") The characteristic white columns are visible from Dammtor station and the tracks of the rapid transit lines. The Main Building currently houses the humanities. The University\'s Main Building houses 7 lecture halls of various sizes (80 to 650 seats). 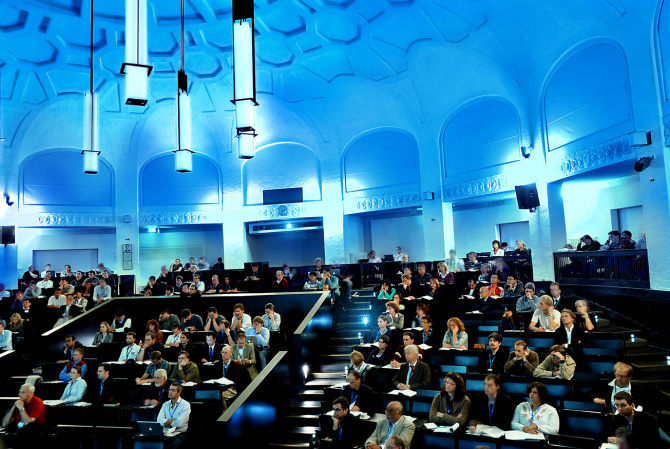 The most beautiful lecture hall is the Agathe Lasch Lecture Hall directly underneath the cupola. 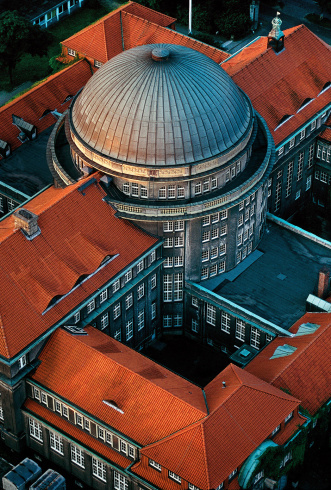 The architectural composition of the Main Building, particularly the interaction of the cupola and the courtyards, only become apparent from the air.